Due to the diffraction of light, traditional light microscopy is unable to resolve structural details less than ~200 nanometers in the lateral dimension and ~500 nm in the axial dimension. For over a century, this was considered a fundamental, unbreakable rule. Double Helix technology not only breaks the diffraction limit, but also enables 3D imaging, capturing details as small as 10 nm in the lateral dimension and 15 nm in the axial dimension. This has sweeping implications for advancing scientific research, drug discovery, and industrial inspection. After decades of gradual improvements, revolutionary change has arrived with the advent of super-resolution imaging. Now it’s possible to see molecular structures as small as 10-20 nm in two dimensions. But this technology lacks axial resolution, failing to capture depth information. Double Helix Light Engineering™ delivers 3D nanoscale imaging with superior depth and precision by using interchangeable phase masks that modify to engineer point spread functions (PSFs). For any given project, you can select a mask to optimize your depth range, emission wavelength, SNR, and other factors to meet your requirements. Inherent in every phase mask, depth and precision are a tradeoff. You may opt for more depth, for example, to image larger volumes more quickly. By giving you options, you can achieve the ideal depth-precision balance every time. To give you maximum control and flexibility, we offer a library of phase masks, including Double Helix, Single Helix, Tetrapod, and multicolor designs. Developed by Double Helix Optics, these phase masks split the light emitted from a single object into two separate rotating lobes, resembling a double helix. The midpoint of the two lobes corresponds to the lateral position of the emitter, while the angle between the two lobes encodes the emitter’s axial position. This enables high-precision 3D imaging and sensing over an unprecedented depth of field. Multicolor imaging allows you to contextualize data. Typically this requires sequential imaging, multiple cameras, or segmented dedicated fields of view. 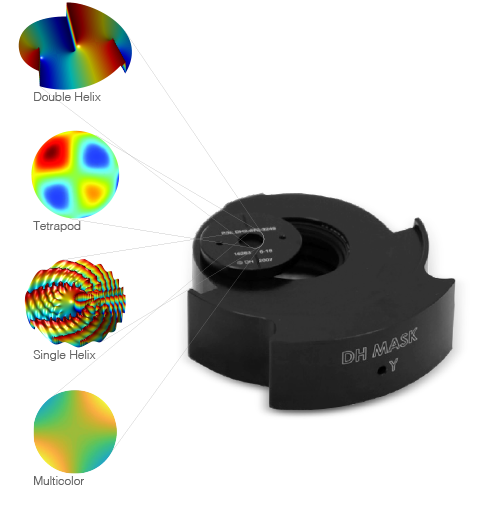 But with our multicolor phase mask, you can encode color and 3D position directly into the image. It is now possible to simultaneously yield different PSFs for different wavelengths, enabling simultaneous multicolor tracking or super-resolution imaging in a single optical path. Created by Stanford University’s Nobel Prize winner W.E. Moerner, the tetrapod masks have a tunable depth range up to 20 μm. Using the tetrapod masks in conjunction with the double helix masks, scientists have been able to image and reconstruct structures of whole mammalian cells, including mitochondria and the nuclear lamina. They have also used these masks to track molecules on the surface of a living cell. Using similar principles as found in the Double Helix phase mask, the Single Helix modifies the point spread function to resemble a single lobe that rotates around the lateral position of the emitter. These masks can be used for 3D super-resolution imaging and 3D tracking when used with a beam splitter. They may also be used for extended focal depth imaging and is most suitable for extended ranging. Sub-diffraction imaging and particle tracking with advanced 3D information opens a new world of possibilities for biological and biomedical research, drug discovery, material science research and industrial inspection. Scientists studying neurodegenerative diseases were able to see 3D images of stress granule cores—never seen before. Likewise, researchers studying immunology have been able to reconstruct entire T-cells. Imagine what you could discover. Rather than simply modeling new compounds, it is now possible to see and track how drug compounds really work. 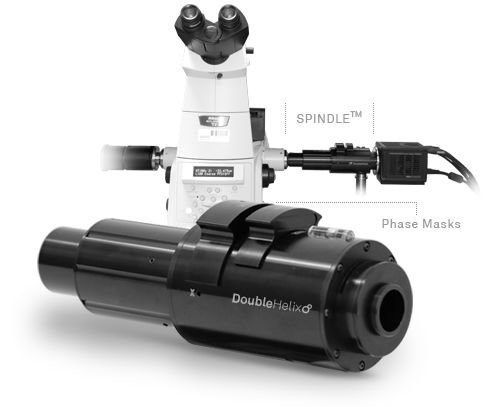 Double Helix is breaking new ground in the realm of imaging and single particle tracking (SPT). With the ability to track molecules across a larger depth of field—up to 20 microns—Double Helix can record longer trajectories than ever before. 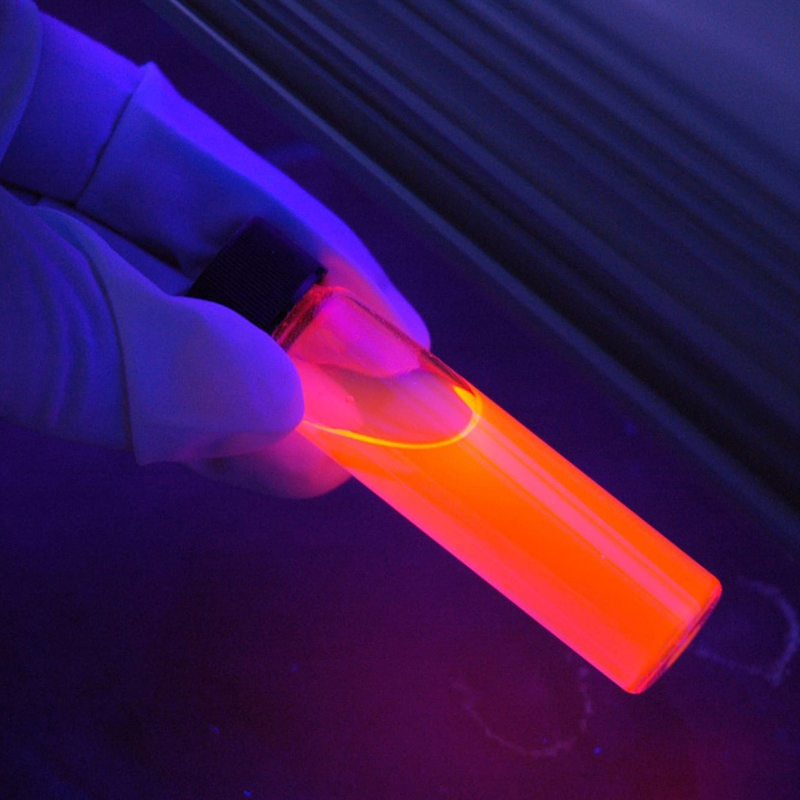 Real-world evidence makes it easier to identify lead compounds and speed drug discovery. 3D nano-imaging and particle tracking are also instrumental in material science, whether studying metals, semi-conductors, ceramics, polymers or nanomaterials. Double Helix technology enables you to see material structure, fluidity and other properties. Precision imaging combined with depth extension gives you new insight into particle dynamics. And with more data, you can better predict the performance of a material in any given application. Double Helix moves inspection to the nanoscale in 3D. You can now spot miniscule defects and other functional flaws in manufactured products—from microchips to pixels. 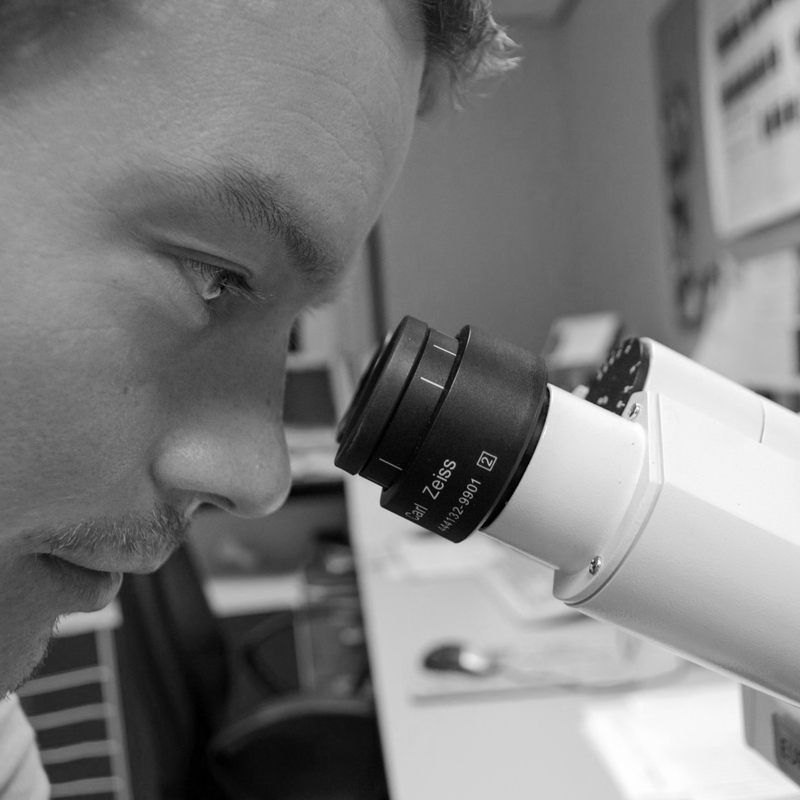 Inspection with nano-level accuracy can improve quality control, save time, cut costs, increase throughput and track QA.